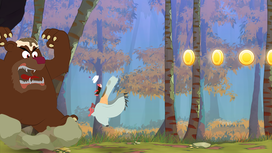 HELP Lucerne, the Gold Collared pigeon, escape the claws of the Kody, the Enraged Bear! 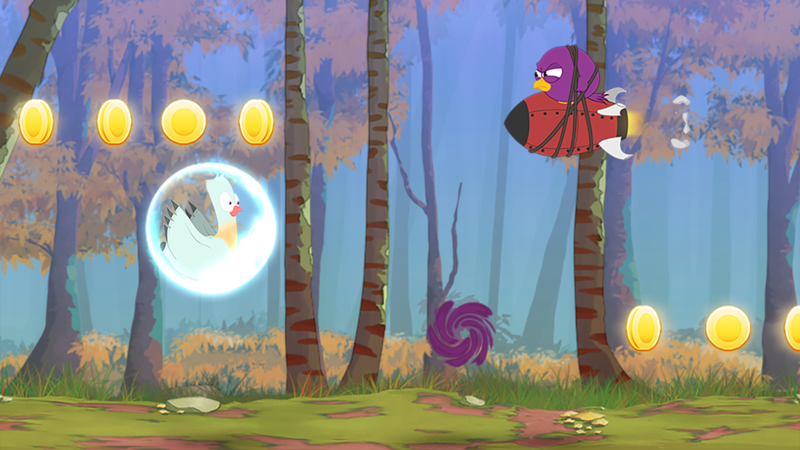 TAP AWAY Rocket-riding Canaries, crazy Bats and other spooky enemies! 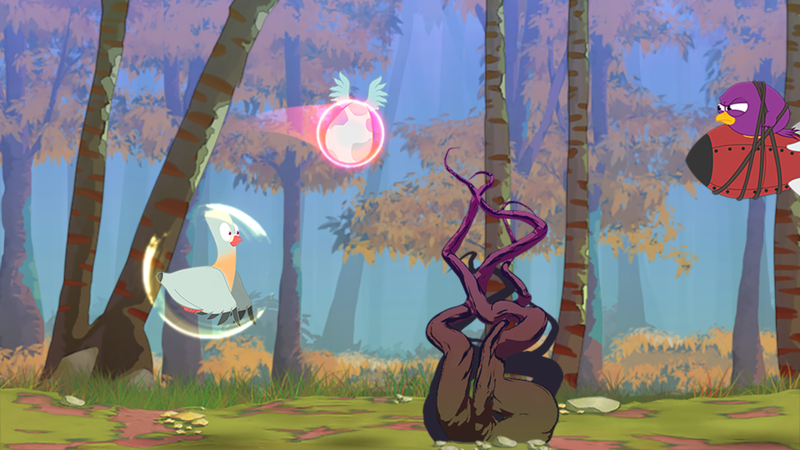 CUT DOWN Thorns, Tendrils and pigeon-hungry Haunted Trees invading the forest! 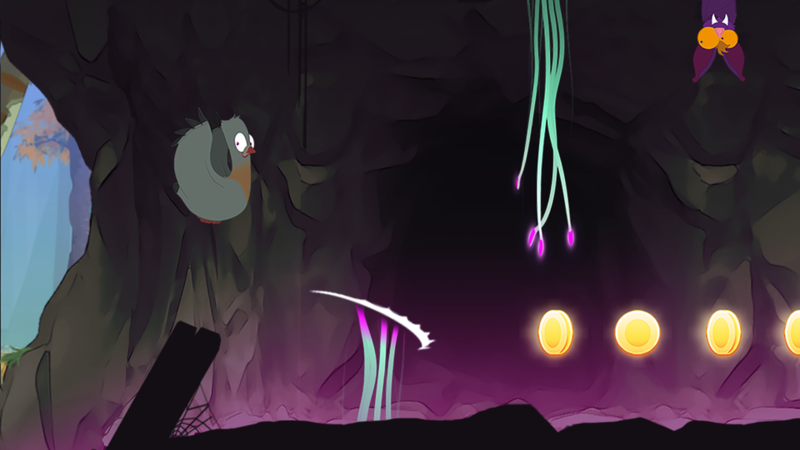 CORK Geysers poisoning the Gloomy Caves! FREE the powers hidden by the Spider Queen! As you follow Lucerne deep into the Sleeping forest, from the sunny Clearings, through the poisonous Gloomy Caves and across the ever Haunted Spooky Woods. 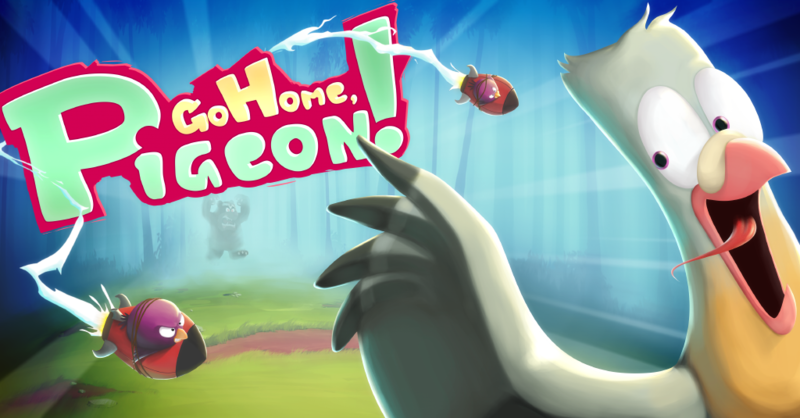 “Go Home, Pigeon!” Is a new kind of Endless Runner where *YOU* take control of the environment. Protect the pigeon of incoming danger by tapping, swiping and blocking obstacles coming along the way. 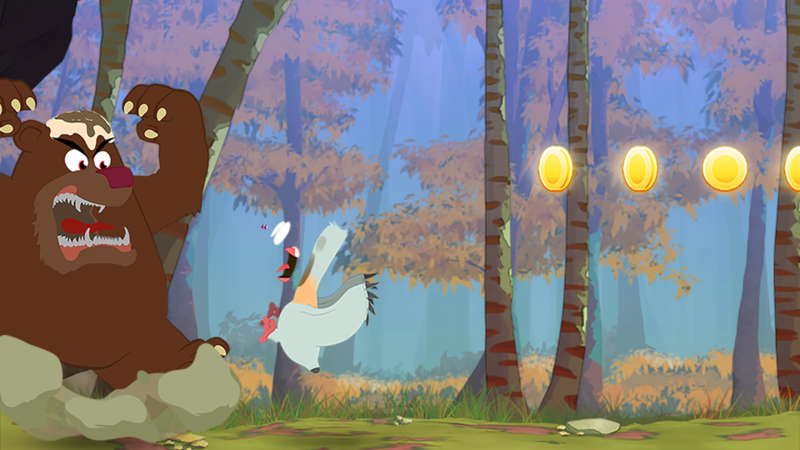 Use Power-Ups to help Lucerne go further and further as she tries to escape Kody the Angry Bear’s mortal claws. Take control of the environment ! Vibrant and colourful visuals inspired by 1950’s cartoons! Hours of gameplay with hundreds of missions to complete! Turn Lucerne into the Avian Torch! Instant Gameplay, just “Tap to play” and you’re in!